Two years after the first successful Portuguese voyage to India, Pedro Alvares Cabral officially discovered Brazil in 1500. However, there is a theory that the secretive Portuguese court had contact with Brazil as early as 1480, before Castile's much-trumpeted discovery of the Bahamas and Hispaniola, perhaps through the central Atlantic voyages of Captain Duarte Pacheco Pereira. The Treaty of Tordesillas was signed on 7 June 1494, dividing the newly discovered territories between Spain (in the form of the united kingdom of Castile and Aragon) and Portugal. This gave Portuguese explorers carte blanche to explore and colonise what would later become Brazil. Expansion was vigorously pursued under John III, with the colony being divided into twelve captaincies who were charged with protecting and exploiting their commands. Once Spain controlled Portugal between 1580-1640, the terms of the treaty were irrelevant and any restriction on Portuguese settlement in Brazil was removed. Afterwards, when Portugal was freed under the rule of the Braganzas, the discovery and exploitation of gold and diamond mines made the Portuguese crown one of the richest in the world. 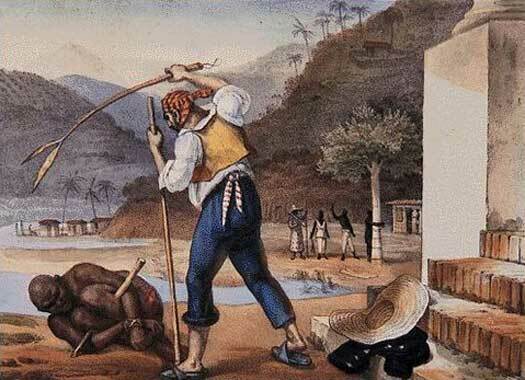 More was extracted from Brazil alone than the Spanish managed to get from all of their colonies combined over the entire lifetime of their colonial rule in the Americas. Brazil is officially discovered by Pedro Alvares Cabral as he leads a thirteen-vessel fleet from Portugal to introduce Christianity wherever he goes, by force if necessary. Following directions given to him by Vasco de Gama and with one of his vessels captained by Vasco de Gama's companion, Nicolau Coelho, he sails to Brazil and then on round the Cape of Good Hope towards Mozambique and Madagascar, before returning to Portugal. Little detail is known about the appointment of the first governor in Brazil, and there is even some doubt that this is indeed his title. However, his appointment begins a system of governance in the new colony which survives for three hundred years. Later governor of Goa (1542-1545). The Portuguese crown initiates a system of hereditary captaincies in order to begin the exploitation of its colony (and keep the competing French and other European nations away from the money-making brazilwood sources). Brazil is held in low regard while Portugal is making vast profits in commerce with India, China, Japan, and South East Asia. The fifteen captaincies are formed as huge strips of territory stretching from the coast to the interior, each one immediately south of the other. All but two fail to live up to expectations, so in 1549 Tome de Sousa is sent to Brazil to establish a central government and establish a new capital at Salvador da Bahia, in the north-east. Much of Duarte da Costa's tenure as governor-general is consumed by war against the natives around Salvador. In 1556 the first bishop of Brazil, Pero Fernandes Sardinha, is captured and eaten by the natives after he is shipwrecked. Only da Costa's successor is able to defeat the natives and establish a stable and efficient administration. The city of Rio de Janeiro is founded in the south of Brazil. Two viceroyalties are established, north and south, although this form of governance only lasts until 1578. Junta, for the second time. The Quilombo of Palmares settlement of escaped slaves is formed in far eastern Brazil (the term 'quilombo' is specifically used for such settlements). The settlement's population is formed largely of free-born enslaved Africans and is ruled by chiefs who apparently have a princely origin within Africa. Second term of office, at Rio de Janeiro. The huge colony is divided in two by Portugal. The more important of the divisions, Estado do Brasil, has Salvador as its capital, while Estado do Maranhao, is given Sao Luis as its capital. A Portuguese attack from Brazil on a Spanish mission in the viceroyalty of Peru results in the enslavement of 60,000 natives. The raid is one of a series in what is effectively a low level war of territorial conquest, despite Spain governing the Portuguese. President of the provisional junta. The Quilombo of Palmares settlement of escaped slaves is finally conquered. One of the last rulers is Zumbi, claimed as a grandson of an unnamed manikongo of the Kongo kingdom. Elements of the royal family had been captured at the Battle of Mbwila in 1665, so the claim is not without merit. By now the territory directly under the control of the colonists has increased vastly to the west, and from this date the governor-generals begin to term themselves viceroys to reflect their greater power and improved position. However this 'promotion' is not confirmed by the king until 1763. First (self-proclaimed) viceroy of Brazil. Uses the title of governor-general. Governor Bruno Mauricio de Zavala of the Spanish governate of Rio de la Plata founds a fortress which forms the basis for the later development of Montevideo. In this period it is purely a military stronghold, with de Zavala feeling that it is required in order to hold back Portuguese encroachment from Brazil. In time it becomes the capital of the independent republic of Uruguay. The position of governor-general (viceroy) is vacant. In 1763, Rio de Janeiro is made the capital of Estado do Brasil, replacing Salvador. 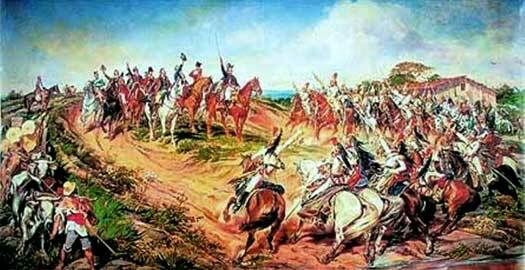 This date is the point at which viceroys are officially appointed to command Brazil. First official viceroy of Brazil. All of Brazil is united under the control of the viceroy. Portugal is occupied by Napoleonic France. Led by John VI, the Portuguese royal family flees to Brazil. By 1811 Portugal has effectively been freed by an Anglo-Portuguese army under General Wellesley. The colony of Brazil is elevated to a kingdom in 1815, and Prince Joao remains the effective power behind the throne until 1816, when he becomes king. When Napoleon Bonaparte sent a French army to invade and occupy Portugal in 1807, the Portuguese royal family went into exile to evade capture, sailing to Brazil. Once there, they ruled Portugal and its colonies at a distance until 1815. 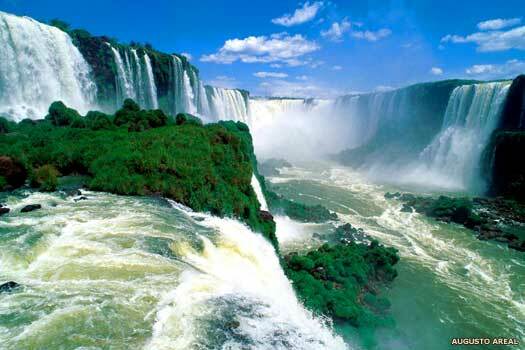 Then the colony of Brazil was elevated to the status of a kingdom by a law which was confirmed on 16 December 1815. The 'united kingdom' of Portugal, Brazil, and associated colonies was governed as a single state. Queen of Portugal in name only. Died in Rio de Janeiro. Uruguay is invaded by Portuguese troops from Brazil and is ultimately seized from the Spanish control of the United Provinces of La Plata. Regent of Portugal (until 1816) and thereafter king. The Liberal Revolution in Portugal in 1820 forces the king to return home from exile the following year. In 1822, his son, Dom Pedro, regent of Brazil, declares the kingdom of Brazil to be independent of Portugal. The Liberal Revolution of 1820 in Portugal forced the king to return home after thirteen years in Brazil, but it also paved the way for a constitution which called for Brazil to be reverted to a colony. Naturally the Brazilians themselves resented the idea, and following a series of political agitations in Brazil, the king's son declared the country to be independent of Portugal on 7 September 1822. Apparently this was on the advice of his father, who preferred that a member of his family ruled the breakaway colony rather than a usurper. Very shortly afterwards, on 12 October 1822, Peter was proclaimed the first emperor of Brazil, being crowned head of the constitutional monarchy on 1 December. Son of John VI. Also Peter IV of Portugal. From the outset, Peter faces problems in balancing the wishes of the conservative elements in the countryside against the more liberal wishes of urban dwellers, between the landed aristocracy who want a constitutional monarchy and the families of Portuguese origin who prefer an absolutist monarchy. The constitution which he presents gives him much more direct control than he had foreseen, aiding him in controlling the wilder areas of Brazil to the north and in preventing the kind of break-up that is already happening in the Spanish colonies in the Americas. King John VI of Portugal, under pressure from Britain, recognises the independence of Brazil In 1825 after the USA has already done so. However, while republican sentiment is soaring in Brazil, the country also becomes entangled in a two year-long war against Argentina, and the recently-seized Cisplatine region in the south of Brazil breaks away, establishing itself as the country of Uruguay. After the death of his father in 1826, Peter chooses to inherit the crown of Portugal, but he is quickly forced to abdicate that title in favour of his daughter. Becoming increasingly unpopular, due to his changes to the constitution, the war with Argentina, the death of his first wife, and his apparent indecision on whether to rule Brazil or Portugal, Peter marries Princess Amelie de Beauharnais von Leuchtenberg, daughter of Eugène de Beauharnais and the granddaughter of Empress Josephine of France. Amelie's brother also later marries Peter's daughter, Maria II of Portugal. With everyone of consequence now distancing themselves from him, Peter abdicates on 7 April. He nominates his son as his successor, with a series of regents governing the country in accordance with the constitution. Son. Acceded at the age of five. On 23 July the Brazilian imperial parliament decrees that Peter II is of age to govern the country himself, abolishing the regency. Even though he is still only fourteen, he has proved to be a fair and even ruler, and the hope is that the revolts of the 1830s can be replaced with a head of state whom everyone supports. Indeed his liberal and compassionate approach brings stability and prosperity to the country for most of his reign. Dau. Regent on three occasions when Peter was abroad. As a result of Paraguay's declaration of war against Uruguay, Argentina, Brazil, and Uruguay go to war against Paraguay in the War of the Triple Alliance (which is also known as the Paraguayan War or the Great War in Paraguay). It proves to be a long and costly affair, causing more casualties than any other South American war. Paraguay is totally defeated, but the war costs the emperor some of his popularity. In the aftermath of the Paraguayan War the monarchy has come to be seen as a hindrance to modernisation and growth. The final abolition of slavery without compensation in Brazil in 1888 (the last American country to do so), had irritated the landowners, while the liberals called for greater autonomy. The end for Peter II comes when a military coup overthrows him on 15 November. He goes into exile in Europe (where his descendants maintain their Hereditary title), while a new federal government is created for Brazil. Located in South America, the modern republic of Brazil borders Venezuela, Guyana, Suriname, and French Guiana to the north, Colombia, Peru, and Bolivia to the west, and Paraguay, Argentina, and Uruguay to the south. 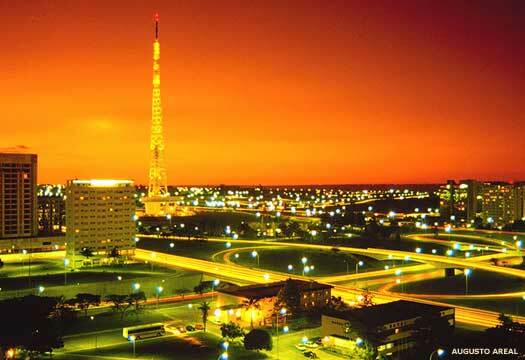 Its capital is Brasilia, in the southern-central of the country. The Brazilian Old Republic was initiated on 15 November 1889 with the overthrow of Emperor Peter II. A new federal-based government was created, and a constitution was inaugurated in 1891. When Peter II was overthrown, ending the Empire of Brazil, he took his family to France to begin his exile. He died soon afterwards and was given a state funeral by the French government. In Brazil the event was censored. He and successive claimants of the House of Braganza to the throne are shown with a shaded background. Heirs who did not succeed in becoming the head of the Braganzas are shown in red text, while rivals or pretenders to the throne are shown with a plum backing. Ex-emperor of Brazil. Died 5 December in Paris. As the eldest surviving child of the former emperor, upon his death Isabel becomes the head of the House of Braganza and the de jure empress of Brazil. Since exile, the royal family had lived in France. Dau of Peter II. Died 14 Nov in France. The province of Acre is persuaded by Brazil to secede from Bolivia as part of the Treaty of Petropolis. The treaty, signed on 11 November, ends tensions between the two countries. In 1904, Peru's border with Brazil is settled with the signing of the Treaty of Velarde-Rio Branco on 12 June. This sets the border along the rivers of Yaravi and Yaverija. In December of the same year, the Liberals take power in Paraguay following an Argentine-backed invasion. This removes the Brazilian-supported Colorado Party from power and diminishes Brazilian influence on the country. Prince Pedro de Alcantara, heir to the title, renounces his claim so that he can marry the member of a Bohemian noble house. The claim falls first to his brother, who predeceases Isabel, and then to his nephew. They form the legitimate, or recognised, Vassouras branch. In October 1917, Brazil declares for the allies in the First World War against Germany and the Austro-Hungarian empire. Brother. Served British Army, First World War. Died 26 Mar 1920. Son. Died 5 July. Vassouras branch of the royal family. The sentence of exile that had been imposed on the royal family in 1889 is now lifted. However, the family remains in France throughout the Second World War, only repatriating itself afterwards. Julio Prestes de Albuquerque is elected president under deeply controversial circumstances, so a coup by the military prevents him from taking office. A triumvirate is formed which holds power for the remainder of the year. Army general, 24 Nov-3 Dec.
Getulio Vargas takes full power and controls the country for fifteen years, first under a provisional government which has fascist support (1930-1934), then he attempts a constitutional format which sees the fascists disbanded (1934-1937), before finally opting for a full-blown dictatorship known as the 'New State' (1937-1945). Dictator. Committed suicide in 1954. Upon the death of Prince Pedro de Alcantara, his own son proclaims his right to the inheritance of the royal title. According to Isabel before her death, any claim by Pedro's descendants is to be dismissed following his renunciation. Nevertheless, the rival, Petropilis, claim receives some backing, and these rival claimants are shown with a plum backing. Son of Pedro de Alcantara. Rival Petropolis claimant. Following the declaration of the United Nations, Brazil joins the Second World War as an ally of the USA and Great Britain on 22 August 1942, against Japan, Germany and Italy. Democracy is returned to Brazil when elections see the first president of the 'New Republic' enter office. Vargas manages to get himself elected in 1951, but commits suicide in 1954. The president is overthrown by a military coup, heralding two decades of military rule of the country. Between 31 August and 30 October, the country is governed by a military junta consisting of General Aurelio Lyra Tavares, Admiral Augusto Hamann Redemaker Grünewald, and General of the Air Force Marcio de Souza Mello. Son of Pedro Henrique. Born 6 June 1938. The 'Third Republic' is declared and the country returns to democratic elections. Son of Pedro Gastao. Rival Petropolis claimant. Son of Pedro Luis. Born 2 Feb 1941. Son of Pedro Carlos. Rival Petropolis claimant.